So-called “computer technicians” come and go, and really, how reliable is the kid next door to fix your IT problems? How committed to long-term solutions is the “savvy” backpacker? For business, should your staff really be trying to solve IT issues instead of doing their key roles? Should you trust a “one man show”, risking business continuity support when he/she is sick, busy or on holidays? Should you really trust your valuable data and systems to those less experienced, resourced, equipped and able to resolve your issues in an efficient, systematic and cost-effective manner? One business in this region stands head and shoulders above all others when it comes to professional, experienced service for both Windows and Apple systems. 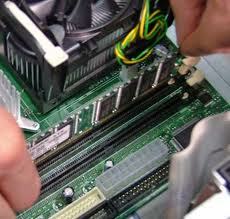 South West ComputAble’s experienced team of six trained technicians process well over 2600 service jobs per year. Experience over 24 years in the business has developed key systems and structures to ensure the job is done quickly, efficiently and effectively, without cutting corners. Working from the largest, best equipped, purpose-built service centre in the region, every conceivable computer problem is presented, analysed and solutions found. We also provide on-site service throughout the region for our wide range of clients – from home users to complex multi-site networks with multiple servers and hundreds of computers. From component repairs and upgrades, through to professional virus and malware disinfection and repair, to intricate operating system repair and data restoration, South West ComputAble has the facilities and resources to solve your IT emergencies, no matter what your operating system or circumstance. You can be assured that strict data protection and quality control procedures are adhered to and client data is treated with absolute security and confidentiality. South West ComputAble also repairs peripheral equipment such as printers, scanners and external devices where economically viable. No-one else comes close. Ask around, give us a call. We would love to provide you with our award-winning, top-class service. We’ve been doing just that for 25 years and would love to have you join us. Clients are reminded, that in line with industry practice, due to the nature of computer data and although systematic care is taken, no responsibility for data loss or subsequent loss can be taken. It is the client’s responsibility to backup data. 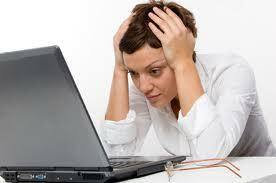 South West ComputAble’s friendly staff will gladly advise you on the range of backup options available.